The primary objective of this report is to analysis General Banking of Dhaka Bank Limited. Other objectives are to familiar with the working environment in bank. Report also observe and analyze the performance of the specific branch and the bank as a whole. Finally draw SWOT analysis and suggest recommendation and also to be acquainted with day to day functioning of service oriented banking business. The primary objective of the study is to meet the partial requirements for the fulfillment of the course ‘practical orientation in Banks’. Bangladesh economy has been experiencing a rapid growth since the 90s. Industrial and agricultural development, international trade, inflow of expatriate Bangladeshi workers remittance, local and foreign investments in construction, communication, power, food processing and service enterprises ushered in an era of economic activities. Urbanization and lifestyle changes concurrent with the economic development created a demand for banking products and services to support the new initiatives as well as to make channel consumer investments in a profitable manner. A group of highly acclaimed businessmen of the country grouped together to respond to this need and established Dhaka Bank Limited in the year 1995. The Bank was incorporated as a public limited company under the Companies Act. 1994. The Bank started its commercial operation on July 05, 1995 with an authorized capital of taka. 1,000 million and paid up capital of Tk. 100 million. The paid up capital of the Bank stood at taka. 1289 million as on 31 December 2006. The Shareholders’ Equity (capital and reserves) of the Bank as on 31 December, 2006 stood at tk.2551 million, including the sponsor’s capital of Tk. 338 million. The bank has 37 branches including two Shariah-based branches and an offshore banking outlet across the country and a wide network of correspondents all over the world. The bank has plans to open more branches in the current fiscal year to expand the network. The bank offers the full range of banking and investment services for personal and corporate customers, backed by the latest technology and a team of highly motivated officers and staff. In its effort to provide Excellence in Banking services, the bank has launched fully automated phone banking service, joined a countrywide shared ATM network and has introduced a co-branded credit card. A process is also underway to provide e-business facility to the bank’s clientele through online and home banking solutions. To be the premier financial institution in the country providing high quality products and services backed by latest technology and a team of highly motivated personnel to deliver Excellence in Banking. At Dhaka Bank we draw our inspiration from the distant stars. Our team is committed to assure a standard that makes every banking transaction a pleasurable experience. Our endeavor is to offer you razor sharp sparkle through accuracy, reliability, timely delivery, cutting edge technology, and tailored solution for business needs, global reach in trade and commerce and high yield on your investment. Our people, products and processes are aligned to meet the demand of our discerning customers. Our goal is to achieve a distinction like the luminaries in the sky. Our prime objective is to deliver a quality that demonstrates a true reflection of our vision- Excellence in Banking. Establish DBL as one of the top five successful private commercial banks by 2009. Build a strong deposit base. Introduce new products & services and upgrade existing products & services at comparatively low cost in order to assure quick respond to the changing demands in the market. Strengthen corporate identity and values. Bring the entire system under a very advanced IT platform. Socialize and present the bank to the community as a corporate partner. Increase revenue 20% each year. Reduce dependence on bank deposits to ensure continuous flow of core funds through base deposit. Change deposit mix time vs. transaction accounts to 60:40. Reduce non-performing loan to less than 1% of total assets. The prime objective of DBL is to deliver a quality that demonstrates a true reflection of their vision-Excellence in Banking. Improve the quality of lone and services, and diversify the sources of revenue. In the era of Societal Marketing Concept, each organization has to pay attention to customers and society. Because customers are very well known about substitute and they do prefer to build relation with such organization which really thinks about CSR. Bangladesh Institute of Research and Rehabilitation in Diabetes, Endocrine & Metabolic Disorders (BIRDEM). This department gives the software and hardware supports to different departments of the bank. As Dhaka Bank is engaged in online banking, the role of IT is very crucial for the bank. This department is the most active department of DBL where employees always stand by to solve any problems in the system. The managers and executives of IT division work continuously to develop the total IT system of DBL so that it can be operated with ease, accuracy, and speed. Since its journey as commercial Bank in 1995 Dhaka Bank Limited has been laying great emphasis on the use of improved technology. It has gone to online operation system since 2003. And the new banking software Flex Cube is under process of installation. As a result the bank will able to give the services of international standards. In 2009 Dhaka Bank become a member of the EI Dorado inter bank fund transfer network which allows real time electronic fund transfer between customers of member banks. To achieve better economics of scale & efficiency in transaction processing the IT Division played a key role in the centralization of Trade Finance & Credit operations in 2009.
Credit Rating Agency of Bangladesh Ltd. has assigned A1 rating in the Long Term & ST-2 in the Short Term. In 2008 Credit Rating information & Services Ltd awarded A+ in the long term &ST-2 in the short term. The risk management function consists of Market Risk, Credit Risk and Operational Risk Management Units. Bank Risk Committee, Asset-Liability Committee (ALCO), Credit Policy Committee, and Operational Risk Management Committee are the other risk management bodies. The committees are MANCOM ALCO. As per Bangladesh Bank instruction “BASEL Implementation Team” has been formed which will be responsible for proper implementation of BASEL capital adequacy guidelines in the Bank. The guidelines have been issued by Bangladesh Bank recently but the target date for implementation is 31st December 2009. Corporate Banking business was performed fairly well despite a sluggish credit demand in the market. This year priority has been given to expand business in low risk sectors. Besides we have designed a comprehensive risk management system to monitor and control our asset quality. Letter of Credit, Guarantee, Import & Export Finance, Syndicate Loan, Project Financing, Leasing, Working Capital Financing etc. all are Corporate Banking Products. A powerful and effective means of generating funds for a certain category of institutions, securitization of assets is still in its infancy in the need however for such a service is great and there is a lot of support from multilateral financial institutions, such as the World Bank and the Asian Development Bank, for such activities to be developed further in this country. Financial institutions to diversify their portfolios. In 2009 due to slow investment in the state of global economic meltdown in the whole world. Therefore, investors adopted a go-slow strategy to initiate new ventures, which subsequently deters the credit growth in project financing. 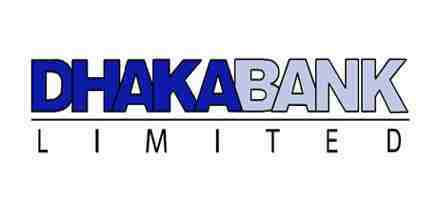 At Dhaka Bank Ltd.the syndication & structured finance unit was setup in October 2004.The unit has successfully closed 14 syndicated deals till the year 2009.This year DBL has arranged 2 syndication deals for a total amount of BDT 1,535.00 million. Deposit of the economic slowdown in the year 2009, the activities of the team ended on high note as we have been able to close 2 syndicated deals as the Lead Bank & 7 deals as participant with other banks. Dhaka Bank has come forward to extend its services towards Micro and Small & Medium Enterprises. Since inception, the Dhaka Bank has held socio-economic development in high esteem and was among the first to recognize the potentials of SMEs. Dhaka Bank pursues & tried to perfect through out 2008 has been significally applied in 2009 in lending various fund & non fund based loans & advances to a wide array of customers through existing as well as a no. of new SME Branch & Service Centers. The Bank was quite optimistic about surpassing the portfolio of 2008.The appetite of investors for borrowed funds seems to be growing again & Banks network too is expected to be expanded through opening of another 6 to 7 SME Branch &Service centers across the country by the end of 2009.Signing of a new refinancing deal on “Solar Energy”, Solar panel assembling plant & ETP with Bangladesh Bank is another major reason behind this optimism. The SME unit has used the year 2006 diligently in building its capabilities and has furthered its portfolio to address the needs of small enterprise with a portfolio growth of 2000% compared to year-end 2005. The bank started branch operations at Belk chi Sirajgonj in April 2003. Prior to the bank’s intervention, the weaving community did not have the financial strength to stock their products till “Eid ul Fitr” when the annual sale takes place. Traders were taking advantage to the situation by buying up entire productions at low prices and liquidating stocks just before “Eid”. With financial services from Dhaka Bank Limited, the weavers have converted to power looms, significantly increased profitability and reduced the involvement of middlemen. They are now working on institutionalizing the learning and applying them in other areas across Bangladesh, particularly in textiles, light engineering and other manufacturing clusters. Already we have identified several clusters and are working on improving access to finance within these clusters. Providing a tailored solution is the essence of our Corporate Banking services. Dhaka Bank recognizes that corporate customers’ needs vary from one to another and a customized solution is critical for the success of their business. The bank assists companies to underwrite public issues. Dhaka Bank has successfully participated in a number of issues. DBL participates in a number of loan syndication arrangements involving foreign investment has been highly acclaimed. The projects we have handled as the lead arranger or co-arranger with other banks and financial institutions include production and export oriented ventures in power generation, cement production, food processing and a large undertaking in leisure and amusement. Dhaka Bank Limited offers Shariah based Islamic Banking Services to its clients. The bank opened its First Islamic Banking Branch on July 02, 2003 at Motijheel Commercial Area, Dhaka. The second Islamic Banking branch of the bank commenced its operation at Agra bad Commercial Area, Chittagong on May 22, 2004.Dhaka Bank Limited is a provider of on line banking services and any of its clients may avail Islamic Banking services through any of the branches of the bank across the country. Interest rate cut on bank deposits and government savings instruments has contributed to significant surge on the stock markets in the second half of 2004, which creates opportunities for the Bank in terms of capital market operations. The Bank is a member of Dhaka Stock Exchange Limited and Chittagong Stock Exchange Limited. Capital Market Division conducted a total trade of tk.2, 045 million against tk.1, 164 million in 2005. Gross Operating profit from Capital Market Services Division is tk.39.80 million against tk.5 million in 2005. Get it in just 7 days, or free! Dhaka Bank Limited brings you your everyday credit card in the shortest possible time. We recognize that you need your card every day. That is why we have developed processes to guarantee delivery of your card in just 7 days when you apply for a fully secured card; for an unsecured card it will be ready in just 10 days. Otherwise we will give you the card free – the subscription fee completely waived! Everything you would expect from a credit card. You can use it at all the merchant locations that display the Vanik Card sticker. That’s not all. You can also use it at all the locations that display the card sticker. And that’s a whopping 1,700 merchants and more than 50 products and services. What’s more, we are always increasing our merchant locations. An updated list is available from our card centre. Your spouse needs a card too for everyday use. That is why we offer a card to your spouse absolutely free. Your spouse can enjoy the same facilities as you do. So, you won’t have to worry about whether either of you are carrying enough cash. Unlike other cards, all branches of Dhaka Bank Ltd. can accept your bill payments and handle your card service requests. You may open an account as well with any of these branches to conduct all your banking and card service requirements under one roof. Dhaka Bank credit card offers you credit facility absolutely free up to a maximum of 45 days. You get 15 days time from the date of statement to repay your dues. You can pay in full within 15 days (and save money; no interest accrued, no payout) or in part. The minimum amount required to pay is 1/12th of the total amount or taka. 200 (whichever is higher). The revolving credit line of your card allows you to select payment terms to suit your other financial commitments. If card has been lost or stolen, a replacement will be sent to the client within a couple of days. But remember to report the loss as soon as you have detected it. Once reported, there will be no liability on fraudulent. A client could use the locker facility of Dhaka Bank Limited and thus have the option of covering your valuables against any unfortunate incident. DBL offer security to our locker service as afforded to the Bank’s own property at a very competitive price. DBL would be at your service from Saturday through Thursday from 9:00 am to 4:00 pm. Lockers are available at Gulshan, Banani, Dhanmondi, Uttara, CDA Avenue & Cox’s Bazar Branch. Dhaka Bank has come forward to extend its services towards Micro and Small & Medium Enterprises. Since inception, the Dhaka Bank has held socio-economic development in high esteem and was among the first to recognize the potentials of SMEs. Recognizing the SME segment’s value additions and employment generation capabilities quite early, the Bank has pioneered SME financing in Bangladesh in 2003, focusing on stimulating the manufacturing sector and actively promoting trading and service businesses. The SME unit has used the year 2006 diligently in building its capabilities and has furthered its portfolio to address the needs of small enterprise with a portfolio growth of 2000% compared to year end 2005. The bank started branch operations at Belk chi Sirajgonj in April 2003. Prior to the bank’s intervention, the weaving community did not have the financial strength to stock their products till “Eid-ul-Fitr” when the annual sale takes place. Traders were taking advantage to the situation by buying up entire productions at low prices and liquidating stocks just before “Eid”. With financial services from Dhaka Bank Limited, the weavers have converted to power looms, significantly increased profitability and reduced the involvement of middlemen. Amongst private sector banks, Dhaka Bank has already made its mark in the retail banking segment. The promotions like “Baishakhi Offer”, a strategic tie up with Electra International Limited, distributor of Samsung brand products, and “Freeze the Summer Campaign” a strategic tie-up with Esquire Electronics Limited, distributor of Sharp/General Brand electrical appliances saw Dhaka Bank to experience more than a reasonable growth on the Retail Banking business in 2004. In the year 2007, Dhaka Bank Ltd. has signed MOU with 8 (eight) renowned car dealers namely: Haq’s Bay, Car House Ltd., The Sylhet Car, Car Port, Legend Car, Nippon Auto Trading, M/s. Kabir Enterprise and Capital Motors. The MOU empowers car buyers to avail DBL Car Loan at a reduced rate of 15%. This MOU will be valid for two years. Dhaka Bank will continue the MOU signing campaign with other renowned car dealers in and around Dhaka and Chittagong. Dhaka Bank also launched the operations of VISA Card and has replaced all its VANIK Card holders with VISA Cards. Dhaka Bank has also offered a special promotion for Eid regarding interest charging on each purchase of items while using the DBL VISA Card. No interest will be applicable for any purchase made during the two Eid months. They are now working on institutionalizing the learning and applying them in other areas across Bangladesh, particularly in textiles, light engineering and other manufacturing clusters. Already we have identified several clusters and are working on improving. From this department all sort of necessary services are provided according to the requirement of the customer. Now a days the service is most talked about matter in banking and other customer related financial involvement. The basic difference between a public and private institution is seems to be its customer handling. The private institutions are more customers related to the public one. For this the customers are likely to feel comfort to make operation with the private institution that those of public. Bank is a financial intermediary, which mobilizes fund from surplus unit and deploy it to deficit unit. Surplus unit means the people who have surplus money and willingness to save. Deficit unit means the people who need money for industry, trade, business, or for personal use but don’t have sufficient money of their own for such purposes. Bank mobilizes the fund by accepting deposits from depositors and allocates the fund by providing loan to borrower. The relationship between a banker and his customer begins with the opening of an account by the banker in the name of the customer. Banker solicits deposits from the public of different walks of life and having different financial status. Accepting deposits is one of the main functions of commercial banks. In DBL various types of account are offered to various customers. Businessmen and companies are the main customer of this product. Bank does not pay any interest to CD account holders. Service charge and incidental charges are recovered from the depositors since the bank makes payment and collect the bills, drafts, cheques, for any number of times daily. The bank through current account grants loans and advances to the customers. In practice of ABBL maintain a minimum balance of tk.5000. Individuals for saving purpose open this type of account. Interest is paid on this account. DBL offers 6.50% rate of interest for Savings A/C. Generally, bank requires a 7-day prior notice if the total amount of withdrawals on any date exceeds 25% of the balance of the account. But in practice there is no restriction on drawing money from savings account. Any time holders may draw money of any amount without prior notice. Only two withdrawals are permitted per week. If more than two withdrawals are made in a week, no interest will be paid on rest amount for that month. Minimum balance of tk.1000 is to be maintained. Interest will be counted on the minimum balance from the date 1-6 of a month. No service charges are charged as it is an interest bearing account. Customers deposited money in this type of account for a shorter period of time. STD account can be treated as semi-term deposit. STD should be kept for at least seven days to get interest. Volume of STD account is generally high. In DBL, various big companies, organizations, Government departments keep money in STD accounts. This branch maintains a separate section for maintaining Time Deposit account. FDR is an important factor for the bank and volume of FDR determines the investment base of the bank. Popularly it is known as Fixed Deposit Receipt (FDR). Time deposits are made with the bank for a fixed period of time. The bank need not to maintain cash reserves against these types of deposits and therefore, the bank offers high rate of interest on such type deposits. The depositor has to fill an application form. In case of a deposit in joint name, DBL also takes the instructions regarding payment of money on maturity of the deposit. The banker takes the specimen signatures of the depositor(s). Necessary postings are given on the flex cube software. An FDR is then issued to the depositor acknowledging receipt of the sum of money mentioned therein. It also contains the rate of interest & the date on which the deposit will fall due for payment. Usually FDR payment is made on maturity. DBL calculates interest at each maturity date and provision is made on that “Interest Expense FDR account” is debited for the accrued interest. In case of premature FDR, DBL allows only saving bank rate interest. FDR is automatically renewed within seven days after the date of its maturity if the holder doesn’t come to encash the instrument. Issue of FDR Cash A/C————————————- Dr.
(at maturity) Time deposit-FDR————————– Dr.
Interest on FDR A/C———————– Dr. Excise duty on FDR———————— Cr. 10% Income Tax on Interest————– Cr. An existing account holder of the Bank. The applicant must provide a photocopy of national ID card. Account opening form must be properly filled-in. Authorized specimen signature must be properly signed by each signatory along with necessary instructions. Account should have proper instruction, introducer should have an account with DBL; introducer’s signature must be verified by an officer of DBL under full signature. Initial Deposit should preferably be as per minimum requirement of DBL. Each authorized signatory should fill-in the customer information details form separately. Letter of thanks should be given to the account holder to be mailed under registered post with A/D of courier. On obtaining all documentation and formalities of the applicant, cheque books are to be issued upon request of the applicant. Special instruction (if any) should be given in appropriate place. In case of company account, the special instruction is to be provided as per the Article of Association and the Memorandum of Association of the Company. Photocopy of Passport of the authorized signatory should be obtained in case the account is not a company account. Registration no & VAT registration no. & date, trade license no. & date should be clearly specified for company and birth date for individuals wherever required in the CIF. Thana and/or Upazilla code must be clearly specified in the CIF of the applicant and/or the authorized signatory of the account to be opened. Transaction Profile of the account must be duly filled in and signed by the authorized signatories of the account to be opened. Nominee declaration form must be duly filled in and signed accordingly for all nominees as specified in the account opening form for accounts opened other than company account. CIF should be duly filled in and signed by the nominee for all nominees specified in the account opening form. Other necessary documentations & formalities to obtained / observed as specified by the bank from time to time. Photocopy of passport of its first 4 pages. Photocopy of work permit (for RFCD account). Any letter about service or its photocopy from the employer. Citizenship certificate if available (for NFCD account). Certificate of approval from relevant authority. Two passport size photograph of the nominee duly attested by the account holder. One passport size photograph of the applicant(s) duly attested be the introducer. All general formalities & documentation should be adhered to as required for proprietorship accounts. Attested photocopy of valid trade license to be obtained for Proprietorship accounts. All general formalities & documentation should be adhered to as required for Partnership accounts. Copy of notarized partnership deed certified be all the partners of registered partnership deed (registered with the Registrar of Joint Stock Companies and Firms) – duly certified by the Registrar of Joint Stock Companies and Firms. Partnership resolution signed by all the partners to open account with Dhaka Bank Limited indicating the type of account and mode of operation. All general formalities & documentation should be adhered to as required for Private/Public Limited company accounts. Memorandum and Articles of Association – duly certified by the Registrar of Joint Stock Companies and Firms. Certificate of Incorporation – duly certified by the Registrar of Joint Stock Companies and Firms. Board Resolution – duly certified by the Chairman / Secretary of the Company. FORM XII and Schedule X – duly certified by the Registrar of Joint Stock Companies and Firms. Certificate of Commencement of Business-duly certified by the Registrar of Joint Stock Companies and Firms. (Only in case of Public Limited Company). Certified copy of Charter / by-laws and Regulations / Constitution of the relevant organization. Copy of Resolution of Managing Committee / Executive Committee-duly certified by the Chairman / Secretary. List of Members of the Managing Committee / Executive Committee – duly certified by the Chairman / Secretary. Copy of resolution of Managing Committee / Governing Body authorizing opening and operation of account with DBL-duly certified by a Gazette Officer. List of Members of the Managing Committee / Governing Body-duly certified by a Gazette Officer. Certified copy of the relevant Presidential Order / Act of Parliament establishing the Corporation. Resolution of Board of Directors / Competent Authority to open Account with DBL. Certified list of Board of Directors (if any). Certified copy of Statute / any other Law by which the body is created and governed. Resolution of Municipal Committee / Managing Body (if any) to open account with DBL – duly certified by the Chairman / Mayor / Competent Authority. List of Members of such Committee / Body-duly certified by the Chairman / Mayor / Competent Authority. An account holder can get a fresh cheque book only against requisition on the prescribed requisition slip attached with the cheque book issued earlier, after proper verification of the signature of the account holder. A new cheque book should be delivered to the account holder or his duly authorized representative. Duplicate checkbook is issued only when an account holder applies to the bank with a letter of indemnity in the prescribed pro-forma agreeing to indemnify the bank for the lost checkbook. Fresh check book is then issued after verification of the signature of the account holder from the specimen signature card and on realization of required excise duty only with prior approval of manager of the branch. Cheque series number of the new checkbook is recorded in the register. Series number of lost checkbook should be recorded in the stop payment register and caution should be exercised to guard against fraudulent payment. Because of online banking the customers of Dhaka Bank Limited can easily transfer their money from one branch to another. No hassle is there. Any one can deposit money from any branch of the bank to any account. Similarly, an account holder can withdraw money from any branch. But in case of money transfer from out side Dhaka division that is from one territory to other online charge is taken from the customer. DBL sends account statement to its clients two times in a year. More over clients are provided whenever he/she wants to know Account Balance. But hence some security and privacy is maintained. No other person than the account holder is given the account balance. If DBL finds that the account is inoperative for a long duration. If Garnishee Order is issued by the court on DBL. If the cash notes are satisfactorily sound then the teller marked in color the amount in word over the deposit slip. At last the receiving officer/teller signed the deposit slip and by the sign of the authorized officer the deposit of fund finished in favor of a customer. Incase of receipt of clearing cheque the cheque is scrutinized at first whether the cheque is authenticated as per the NI Act. If satisfied then a crossing is marked so that this cheque never is encashed over the cash counter. Then the amounts is kept apparently deposited in the customers account and the cheque proceeds to the clearing house accordingly. The payment is made to a customer only against a valued authentic cheque. The teller has to follow the following steps in making such payment. Examining the cheque, in case of examination the teller is to be sure about the following questions. If the teller is satisfied regarding the above questions, then he/she debits the respective party a/c for making payment. Finally the “cash paid” seal is marked over the cheque leaf for the cancellation of the cheque after making the payment to the customer. Limit of cash in transit up to tk- 75 lacs. So the cash department is to maintain a cash limit of tk- 2 core 45 lac as whole. The excess amount of a branch limit is to be proceeded to the account maintained with Bangladesh bank. Remittance of funds means transferring of fund through different instruments other than cheque. Remittance includes both inland and foreign remittance. In this section only the local remittance is described. The term “Outward Remittances” include not only remittance i.e. sale of foreign currency by TT. MT, Drafts, Traveler’s cheque but also includes payment against imports into Bangladesh & Local currency credited to non‑resident taka accounts of foreign banks or convertible taka account. T.M Form: For all other outward remittances form T.M is used. a) Foreign nationals working in Bangladesh with approval of the Government may remit through an authorized dealer 50% of salary & 100% of leave salary as also actual savings and admissible person benefits. No prior approval of bank is necessary for such remittance. b) Remittance of moderate amounts of foreign exchange for maintenance abroad of family members (spouse, children, parents) of Bangladesh nationals are allowed by Bangladesh Bank on written request supported by certificate from the Bangladesh mission in the concerned country. Authorized dealer may remit without prior approval of Bangladesh Bank, membership fees of foreign professional and scientific institutions and fees for application registration, admission, examination (TOEFL, SAT, IELTS etc.) In connection with admission into foreign educational institutions on the basis of written application supported by demand notice/letter of the concerned institution. Application duly filled in by the student as per prescribed format of Bangladesh Bank. Original and photocopy of admission letter issued by the concerned institution in favor of the student. Incidental expenses etc. issued by the concerned institutions. Private travel quota entitlement of Bangladesh nationals is set at US$3000/‑ per year for visit to countries other than SAARC member countries and Myanmar, Quota for SAARC member countries and Myanmar is US$1000/‑ for travel by air and US$500/‑for travel by overland route. Authorized dealers may release this travel quota in the form of foreign currency notes up to US$500/‑ or equivalent and balance exchange in the form of TCs or total quota in the form of TCs the annual quotas mentioned above are for adult passengers. Fore minors (Below 12 year in age) the applicable quota will be half the amount allowable to adults. The intending traveler is a customer of the bank or is sufficiently well known to the AD Bank or the intending traveler has paid relevant Travel Tax. The intending traveler has a valid passport. The bank should verify and satisfy itself that any foreign exchange released for an earlier travel was utilized with he journey being actually undertaken or was duly enchased unutilized. The intending traveler is in possession of confirmed air ticket for journey to be undertaken and that the intended journey to be undertaken not later than two weeks after the date on which exchange is issued. The amount releases is endorsed on the passport and air ticket of the traveler with indelible ink, with the signature and the name of this branch embossed in the passport and ticket. In each case of release of foreign exchange for travel abroad, photocopies of first six pages of the passport s and the page recording endorsement of foreign exchange and photocopies of the pages of ticket showing name of the passenger, route and date of journey and endorsement of foreign exchange along with the relative T.M. form should be sent to Bangladesh Bank along with monthly returns. Dhaka Bank Limited, local office without prior approval of Bangladesh Bank may release foreign exchange up to US$10,000/‑ for medical treatment abroad on the basis of the recommendation of the medical board set up the head directorate and the cost estimate of the foreign medical institution. Applications for release of exchange exceeding US$10,000/‑ should be forwarded along with supporting documents to Bangladesh Bank for prior approval. Without prior approval of Bangladesh Bank AD may release US$200/‑ per them and US$250/‑ per them to the private sector participants for attending seminars, conferences and workshops organized by recognized International bodies in SAARC member countries or Myanmar and in other countries respectively for the actual period of the seminar/workshop/conference to be held on this basis of invitation letters received in the names of the application or their employer institutional. The Authorized dealers may issue foreign currency TCs to foreign nationals without any limit and foreign currency notes up to US$300/‑ or equivalent per person against surrender of equivalents amounts in foreign currencies. The TCs and foreign currency notes should however, be delivered only on production of ticket for a destination outside Bangladesh and the amount issued should be endorsed on the relative passports. Authorized dealers may allow recon version of unspent Taka funds of foreign tourists into foreign exchange on production of the encashment certificate of foreign currency. Recon version shall be allowed by the same AD with which the foreign currency was encashed earlier. AD should retain the original encashment certificate and relative forms where recon version exceeds US$5000/‑. Authorized dealers may release foreign exchange to the intending pilgrims for performing Hajj as per instructions/circulars to be issued by the Bangladesh Bank each year. Applications for remittances by private individuals for purposes other than those mentioned above should be forwarded to Bangladesh Bank for consideration & approval after assessing the bonafide of the purpose of remittance on the basis of documentary evidence submitted by the applicant. For official or semi officials visits abroad by the officials of Govt., autonomous/semiautonomous institutions etc., Authorized dealers may release foreign exchange as per entitlements fixed by the Ministry of Finance from time to time, in such cases, the applicant for foreign exchange shall be required to submit the sanction letter and the competent authority’s order/notification/circular authorizing the travel. Up to US $6,000/‑ or equivalent may be issued by an AD without prior approval of Bangladesh Bank to a new exporter for business travel abroad, against recommendation letter from Export Promotion Bureau, bonafide requirement beyond US$6000/‑ is accommodated by Bangladesh Bank upon written request through an AD with supporting documents. Subject to annual upper limit of US$5000/‑ importers are entitled to a business travel quota @ 1 % of their imports settled during the previous financial year. Subject to annual upper limit of US$5000/‑ non exporting producers for the local markets are entitled to a business travel quota @1 % of their turnover of the proceeding financial year as declared in their tax returns. The same business organization engaged in imports as well as production shall however; draw business travel quota entitlement only on one count. i) Merchandise exporters may retain up to 40% of realized FOB value of their exports in foreign currency accounts. However, for exports of goods having high import content (such as readymade garments, POL products including furnace oil bitumen, electronic goods etc.) the retention quota is 7.5% of the repatriated FOB value. Funds from these accounts can be used to meet bonafide business expenditure, such as business visits abroad, participation in export fairs and seminars, establishment and maintenance of office abroad, import of raw materials, machinery and spares etc. without prior approval of Bangladesh Bank. ii) Service exporters (excluding indenting commission or agency commission of indenting house of buying house respectively) may retain 5% of their repatriated income in foreign currency accounts or as renewable time deposits with Authorized Dealers, Funds from these accounts can be used to meet expenses for bonafide business travel abroad. Remittance of up to US$30,000/‑ or equivalent per annum may be released by the Authorized dealers without prior approval of Bangladesh Bank to meet current expenses of offices/branches opened abroad by resident in Bangladesh or Commercial/Industrial concern incorporated in Bangladesh. Copy of report submitted to Bangladesh bank. Foreign Shipping Companies, airlines and courier service companies may send, through an AD, funds collected in Bangladesh towards freight and passage after adjustment of The Authorized dealers may remit such royalty and other local cost & taxes, if any without prior approval of Bangladesh Bank. No prior permission of the Bangladesh Bank of BOI is required by the enterprises for entering into agreement involving remittance of royalty, technical know‑how or technical assistance fees, operational services fees, marketing commission etc., if the total fees and other expenses connected with technology transfer do not exceed. b) 6% of the previous year’s sales as declared in the income tax returns of the ongoing concerns. The Authorized dealers may remit such royalty and other fees without prior approval of Bangladesh Bank. Royalty and other fees beyond the rate mentioned above may be remitted by the Authorized dealers without prior approval of Bangladesh bank provided specific approval of BOI has been obtained by the applicant company. Industrial enterprises producing for local market may remit through Authorized dealers up to 1% of their annual sales as declared in their previous years’ tax return for the purpose of training and consultancy services as per relevant contract with the foreign trainer/consultant, without prior approval of Bangladesh Bank. ii) NOC of the ministry of Information. Prior permission of Bangladesh is not required by the Authorized Dealers for remittance of charges for advertisement of Bangladeshi commodities in mass media abroad subject to submission of Invoice from the concerned foreign mass media along with the applications of the remitter. The applicant will have to submit copy of the advertisement to the Ad within one month of this issuance. The Authorized dealers may affect remittances towards settlement of dues to foreign banks of bank charges, cost of cables and other incidental charges arising in their normal course of the business without prior approval of Bangladesh Bank. The term inward remittance includes not only purchase of foreign currency by TT, MT, Drafts etc. but also purchase of bills, purchase of traveler’s cheque. EXP Form: Remittances received against exports of goods from Bangladesh are done by form EXP. Form C: Inward remittances equivalent to US$ 2000/- and are above are done by form “C”. However, declaration in form C is not required in case of remittances by Bangladesh Nationals working abroad. Utmost care should be taken while purchasing currency notes, traveler’s cheque, demand draft & similar instrument for protecting the bank from probable loss as well as safety of the bank officials concerned. Branches may freely buy foreign currency notes from Bangladesh as well as foreign nationals. Currency notes, especially notes of higher denominations, i.e. US $ notes of 50 and 100 denominations, should be checked carefully to ascertain their genuineness. Foreign Exchange Department shall maintain currency wise F.C. in hand Control Ledger to record each day’s transactions. On the last working day of each month the branch shall calculate the exchange gain or loss and carry out necessary adjustment in the control ledger. Foreign currencies shall be purchased at the rates instructed by the head Office. The customer tendering the travelers’ cheque should be asked to sign the TCs at the designated places in front of the concerned bank official who would satisfy himself about its genuineness with reference to the customer’s signature already appearing on the TCs and his passport. Should there be any doubt; purchase contracts of the TCs may be asked for. The branch should exercise due care and ordinary prudence for purchase of foreign currency denominated drafts, cheque and similar kinds of instruments. The instrument should not be purchased unless the customer is well known to the branch as a regular trustworthy client. An indemnity bond should be obtained for refund of the money along with interest in the event of dishonor of the instruments. Indemnity need not be obtained in case of instruments against which proceeds have already been credited to the bank’s Nostro account. If the instrument is drawn on the bank’s branch and the cover amount already paid by the issuing bank into the bank’s Nostro Account the vouchers will be passed at TT (clean) rate. Test number appearing on the TT must be checked and authenticated by the concerned official. After receiving confirmation from the head Office about the proceeds having been credited to their Nostro A/C and observing the usual formalities including declaration on form ‘C’, if necessary, the vouchers are to be passed at the TT buying rate. Specific procedure and accounting journals are made for the transfer and the settlement of the outward remittance. account and the amounts are collected from those responding branches through clearing house. Since we know that there are three ways to collect or remit funds such as cash, clearing and transfer this clearing section is treated as one of the most important banking booth. It is observed that the transactions of very big volume are done through clearing house. When drafts and cheques are drawn on the bank’s branches within the same clearing zone then funds are to be cleared through clearing house but if it is of different clearing zone then the amounts are to be collected not cleared and here the OBC procedure is to be maintained. Employee efficiency etc. along with many other issues. DBL is known worldwide for its distinct operating procedures. The company’s Managing for Value strategy satisfies customers’ needs better and keeps the firm profitable. Everyone in DBL from the appraiser to the top management has to work to the same schedule towards a different aspect of the same goal, interfacing simultaneously at all level over quite a long period. As a result, customers can get instant services as and when required. All office walls in DBL are only shoulder high partitions & there is no executive dining room. Any of the executives is likely to plop down at a table in its cafeteria & join in a lunch, chat with whoever is there. One of the employees has said, “It’s exciting to know you may see & talk to the top management at any time. You feel a real part of things”. Besides the strengths, customers as well as employees identified some major weaknesses of the bank. Presently DBL charges same rates for all types of import L/C. But for import L/C of exports-oriented industry, DBL should reduce the charge of L/C. As a result, exporter will be benefited and the country will earn more foreign exchange. According to customers, DBL can’t strictly monitor the courier services that are engaged in delivering mails and documents. Huge amount delivery failures are being piled up at branches. For this reason, the foreign documents of L/C cannot reach at right place at right time. So, the bank should have some control over its couriers and ensure proper delivery of mail and documents. DBL currently don’t have any strong marketing activities through mass media e.g. Television. TV ads play vital role in awareness building. DBL has no such TV ad campaign. In order to be more competitive in the market, DBL should come up with more new attractive and innovative products. This is one of the weaknesses that DBL is currently passing through. DBL can peruse a diversification strategy in expanding its current line of business. The management can consider options of starting merchant banking or diversify it to leasing and insurance. As DBL is one of the leading providers of all financial services, in Bangladesh it can also offer these services. This is a major problem in Bangladesh. As DBL is a very new organization, the problem of non-performing loans or default loans is very minimum or insignificant. However, as the bank becomes older, this problem will arise enormously and the bank may find itself in a more threatening environment. Thus, DBL has to remain vigilant about this problem so that proactive strategies are taken to minimize this problem. Bangladesh is economically unstable country. Flood, draught, cyclone, and newly added terrorism have become an identity of our country. Along with inflation, unemployment also creates industry wide recession. These caused downward pressure on the capital demand for investment. All the branches of Dhaka bank is not introducing with foreign exchange system. So it will be better for Dhaka bank if they will introduce foreign exchange in most of their branches. In terms of import or export they have to increase the efficiency along with effectiveness. Continuing better relationship with customers. In a competitive financial market, their products & services need to focused more to customers, as they can be more knowledgeable about Dhaka Bank’ services. Their marketing strategies should disseminate all over the employee. As we see that, Media coverage of DBL is no so strong. To attract new clients, they should go for mass media coverage. Corporate Social Responsibility is very strong element to hold competitive sustainable advantage into clients mind. People in a global edge, are very much well-informed about their wants & needs. They always want to consume better services from the other end. As a service based company, DBL need to introduce better financial services. DBL has 44 branches all over the country. It is very hard to provide full range services with those branches. So they need pay their attention toward the expansion the branch network. The main competitive advantage DBL is enjoying that it has online banking where as other local commercial bank can not yet achieve that advantage. But all the commercial banks are now trying to achieve this. In this bank the employees are highly motivated by their remunerations and other benefits. Here, all the employees are very much cooperative with their customers, colleagues and simply visitors. In this report I tried to find out all sorts of practical dealings that are conducted in case of handling various type of banking activities in each department, the theoretical aspects, that is what should be the procedures and requirements maintained from first to last, and actual practices as well as the ultimate gain for the bank in conducting financial activities are mainly discussed.